Named for its founder, the Jacques Marchais Museum of Tibetan Art was established in 1945 to recognize the art, culture and history of Tibet. 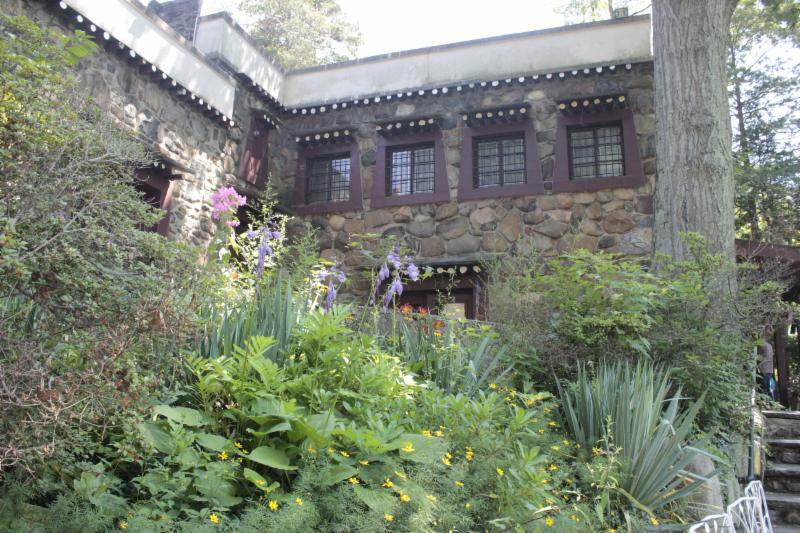 Jacques Marchais (1887-1948), a collector and expert on Tibetan art, designed the fieldstone building to resemble a Tibetan mountain monastery in which the collection is housed. The complex was the first example of Himalayan-style architecture found in the United States, the first museum dedicated solely to Tibetan culture and art worldwide, and is listed on both the New York State and National Register of Historic Places. This 'Jewel on a Hillside' is focused on educating and inspiring a wide audience to foster a better understanding of Himalayan culture. Not only does JMMTA take care of the extensive collection of artifacts, it also maintains the historic buildings on site, gardens, ponds, and meditation cells. The JMMTA is open Wednesday to Sunday, 1:00-5:00 PM. Located on Lighthouse Hill on Staten Island, the museum also offers Sunday afternoon film series, Tai Chi classes, and meditation classes. For more about their events and collection, please visit their website, or follow them on Facebook, Twitter, and Instagram. The Jacques Marchais Museum is among the organizations in our roster that have used the meeting space and partnered in our public programs. For the full list of groups, please visit our website.